This is the network diagram of the LAB environment. 1. First, you have to setup PFSense. I am not spending more time here setting up PFSense since it is very easy to setup. If you are beginner for the PFSense, you can get manual from https://doc.pfsense.org/index.php/Tutorials. Then select the setup tab. 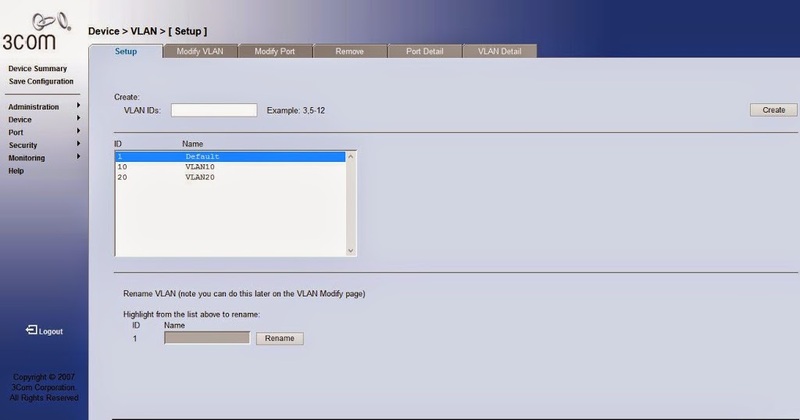 Enter the VLAN ID in VLAN IDs box. I used VLANID of 10 & 20 in my LAB setup. Then click the Create Button. 3. After VLAN IDs are created. Then go to the Modify Port Tab in same window. 4. Do same steps for VLAN 10 also. 5. Now we have to setup VLNA Trunk port. I used Switch port 10 for Trunk port. Select Port 10 -> select the Tagged -> VLAN IDs 10, 20 -> select the Apply. 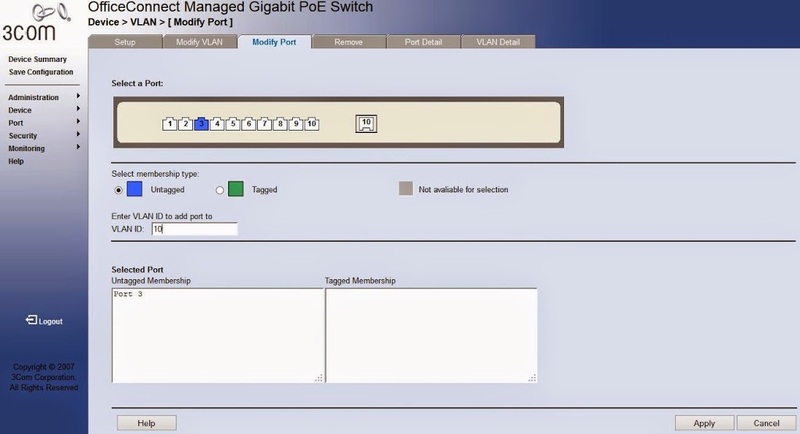 Setting up VLANs in Switch are now completed. So now, we have to move, setup VLAN on PFSense. 6. Next steps are explained how to configure VLAN on PFSense & enable inter vlan routing within two VLANs. First log to the PFSense webadmin panel & go to the Interfaces-> (Assign) then select the VLNAs tab in same window. 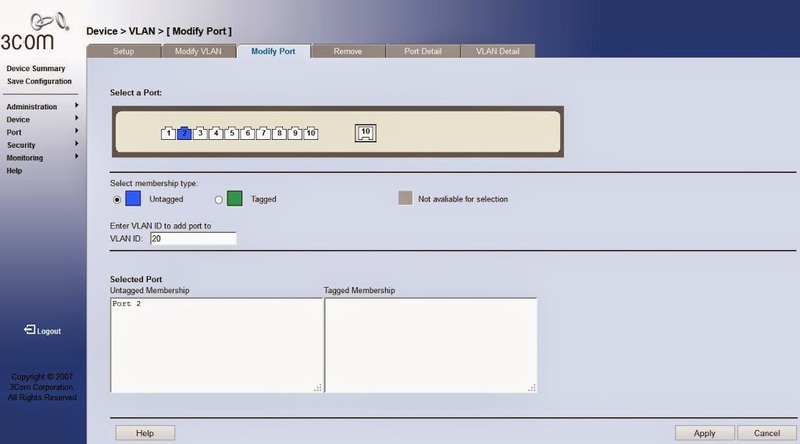 Select the interface in parent interface (Drop down list) that you have allocated for VLAN & enter the VLAN tag number. 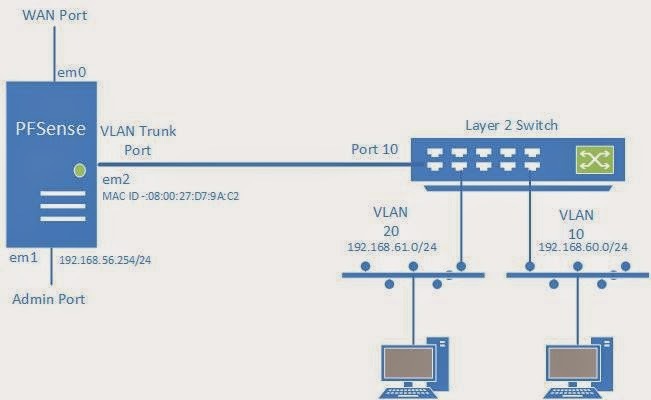 Do same steps for VLAN 20. 7. Verify the interfaces that you have configured. 8. 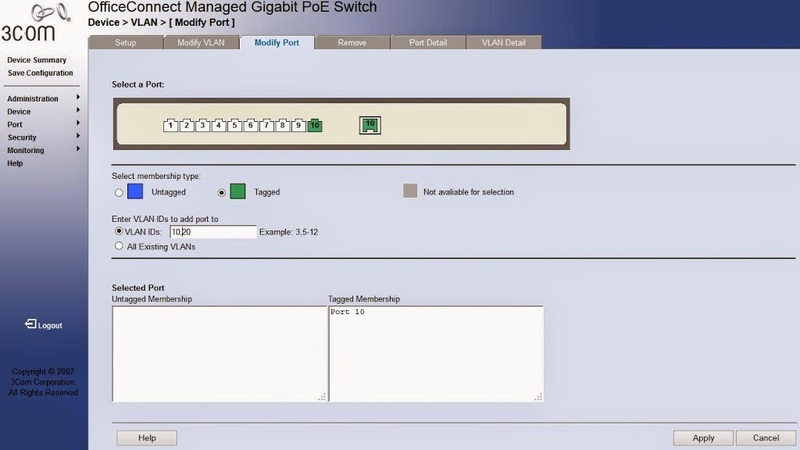 Configuring IP address for VLAN interfaces. 9. Now you have to make enable communication within both VLANs. For testing purpose, I put any-any access for IP rules. This entry was posted in Network and tagged 3Com, PfSense, trunk, VLAN by Lokka. Bookmark the permalink.